Organize your audio cabling with our 2RU Breakout Panels. Mix and match any two modules that fit into one backplate. What a great way to break out those 50-Pin Amp Champ connectors. 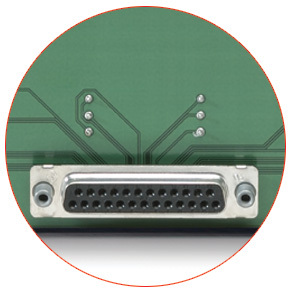 These modules allow just that to 25 individual 3-pin connectors. This module is also compatible with the RTS IFB828 system. or a 297 plug. The E3Fs denotes EDAC 3-Pin Female connectors.